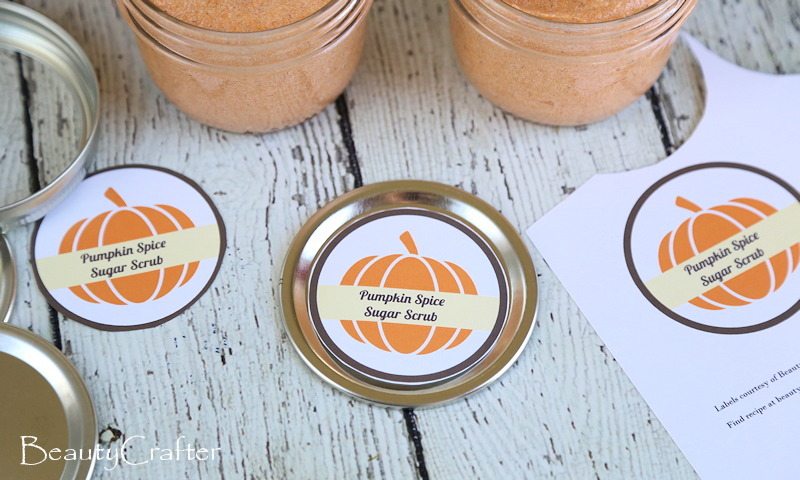 Make this Pumpkin Spice Sugar Scrub Recipe for your pumpkin spice loving friends as gifts and you are sure to be on their good side for quite awhile. I’ve created some free printable labels for you too, so the finished product will have a nice look. The recipe makes enough for three half pint jars of sugar scrub, so you will have plenty to share. It only takes a few minutes to make a batch, so why not make two or more batches and make everyone happy. 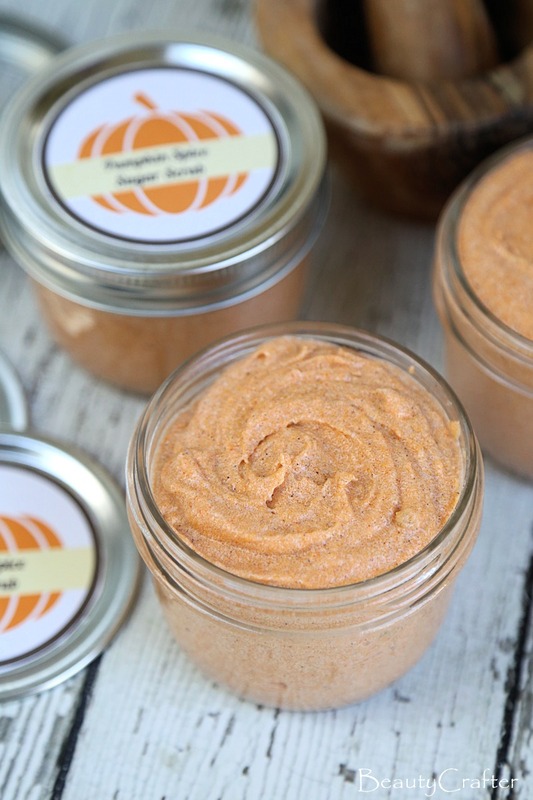 Pumpkin Spice Sugar Scrub would also be a great craft to make for fall school & church bazaars. My Pumpkin Spice Bath Bombs and Pumpkin Spice Soap are also great gift choices. Why not make them all and create gift baskets? 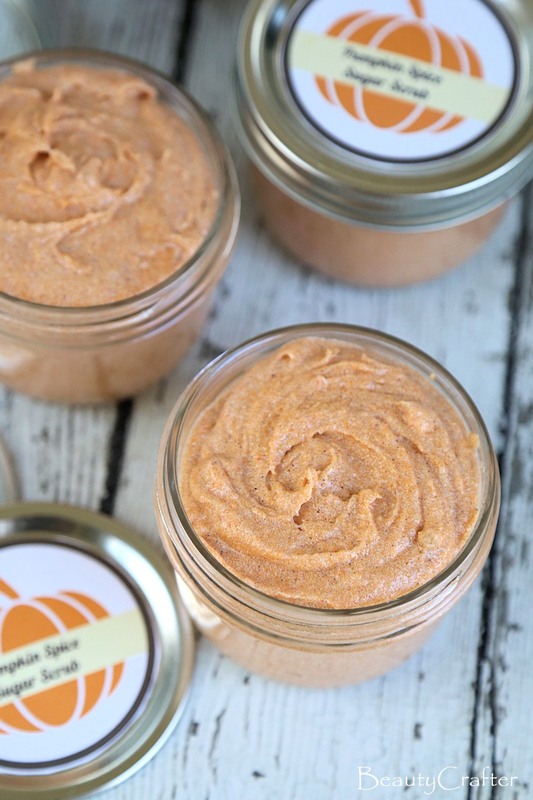 Very purposely there is no actual pumpkin in this Pumpkin Spice Sugar Scrub recipe. This is to keep the scrub from spoiling. The orange color of the scrub is obtained with gel food coloring. All you need other than the sugar. Full recipe below. Spice Set of 6 Premium Grade Fragrance Oils – Cinnamon, Harvest Spice, Apple Cider, Coffee Cake, Gingerbread, Pumpkin Pie – 10ml Wilton 610-205 Icing Gel, 1-Ounce, Orange Jarden Home Brands 12Pk 1/2Pt wide Mouth Jar Canning Jars Nutiva Organic Coconut Oil, Refined, 54 Ounce McCormick Pumpkin Pie Spice, 1.12 oz. Simply print the labels out on cardstock paper, cut out and glue on the caps of the jars. I use a basic all-purpose glue. just make sure to spread the glue on thinly, and smooth out as you adhere the labels. This DIY body scrub is perfect for fall. 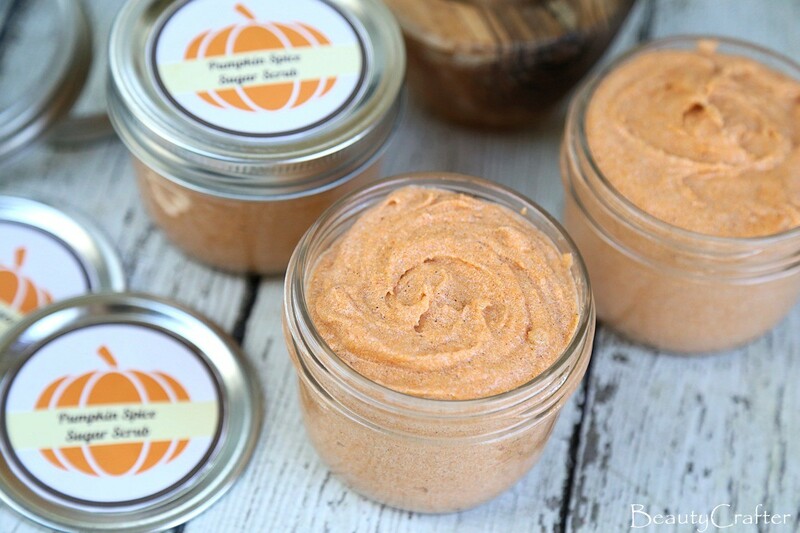 The moisturizing & exfoliating scrub is scented with pumpkin spice. Make your the brown sugar is not clumpy. Break it up with your hands or if you have a mesh colander put it through that. Mix the sugars and pumpkin pie spice, then add the coconut oil and fragrance. Mix well. Next add the gel food coloring, mix until the color is smooth and even with no deeply colored spots. Scoop into half pint jars and seal, then print and adhere labels.